The Daily Transcript honors Law Week with a weeklong series celebrating the business of law. Coverage includes stories on important issues like civil rights, real estate and construction, intellectual property, and legal education. This Law Week 2014 chapter highlights education and legal services. The Daily Transcript honors this year's national Law Week theme with a look at some of the latest issues concerning civil rights. Law Week 2014 continues with a look at the latest real estate and construction legal issues. This Law Week 2014 chapter focuses on how technology and intellectual property law affects a variety of industries, including newly popular ride-sharing services. 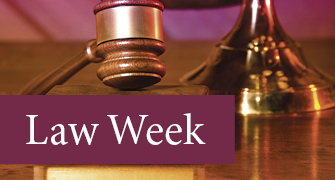 This chapter of Law Week 2014 focuses on corporate and employment law. In order to adapt to a changing business world, law firms are getting leaner, more flexible and increasingly efficient, according to a recent Daily Transcript roundtable discussion. Even at a young age, John F. McGuire was a good guy to have in your court. 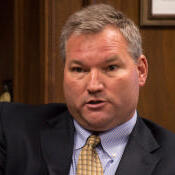 Attorneys are well known for advising clients in all kinds of industries and situations. But when it comes to banking and financial services, they often can use some advice themselves.